This wasn’t how it was supposed to turn out. God had anointed David to be king. Yet, here he is, hiding deep in a cave…hiding from the current king, Saul. Hiding for fear of his life. In this desert cave Adullam, David retreated. He then cried out to God, as he sorted out his confusion. God meets us all in our caves – some we bring on ourselves and others we’re driven into by those who mean us harm. God enters the darkness with us and draws us to the truths of who He is and who we are in Him. The darkness is pierced by His light. The fear and fretting are overcome by faith. A faith that is forged in emptiness, helplessness, and self-pity. As we pray, He reveals Himself. Our eyes turn away from our circumstances into His large presence before us. The cold dark of our situation, when we see God in it, changes to something altogether different…beyond anything that’s just human. No darkness can extinguish the light God brings to us (John 1:5). Crouching quiet in the blackness of that cave, David was able to get his sight back. As with many of his psalms, his woeful cry of distress turned into a shout of praise. He remembered God…he remembered that God never forgets His children. David, in his humanness, hid from Saul, believing his life was in danger. The truth was that God had already anointed David king… David’s life was in the hands of almighty God. He was supernaturally shielded from anything a mere man might attempt against him. Worship with me, please. One day voices will be raised to Him – from every people, tribe and tongue – and it will be even more glorious than the mighty choirs of Brooklyn Tabernacle or Parkland Baptist Church (choir in the lyric video linked above). From a Cave Named Adullah – Karen Smith – Christ Community Church Music – so good! Don’t miss it. Cave Principles, Practices, and Perspectives: Psalms 34, 57, 142 – Bob Stone – Eagle Flight – also really excellent! My mom instilled in me a love for colored glass. She filled beautiful old wine decanters with color-tinted water and set them in our windows at home. On sunny days, the rooms dazzled with rainbow light. Such delight for us children! Then she discovered depression glass and again placed these translucent colored pieces on our dining table, making special occasions even more special. My kitchen reflects my Mom’s influence with colored glass. It wasn’t until I became an adult that stained glass windows became a real experience. Their wonder and beauty that changed with the light mesmerized. We don’t always have a grand choice of a worship space, depending on where we live, given both our means and religious freedom. For some, a storefront is where we gather. For others, under a tree or in an apartment, shutters closed. Part of that reality makes the appeal of stained glass all the greater. Stained glass windows evoke “the presence of the holy in our worship spaces” (in the words of artist Elizabeth Devereaux). We know from Scripture that God is with us wherever we are. We count on that. Still, in a culture that cries against His very existence, being surrounded by sweet reflections of His light and beauty can lift our eyes up…to Heaven, to Him. Stained glass windows are such an art form. Our church building in Richmond (Movement Church) actually has stained glass windows. They weren’t on our wish list; they were part of a great gift to us by Patterson Avenue Baptist Church. They are beautiful and we are grateful. As Yarbrough says above, stained glass windows transmit light – either from outside during the day, or from inside during night hours. They speak to us of the great impact of God’s light in our daily lives and our darknesses. As beautiful as stained glass windows are from the inside, they call us to worship at night. A church near our home has stained glass windows, and I love when they have services at night. Driving by, glancing over, I am transported by the colored light streaming through into the dark night reminding me. Not of differences in religions, or worship preferences, or negative religious experiences. No…none of that. I am reminded of the light and beauty of God. Joyfully. We may be coming back around, the church today, to a preference of a more classic and sacred worship space…a place where stained glass windows draw our eyes and hearts up toward Heaven and all the hope and joy it reflects. Worship the Lord of light and beauty with me today. Hallelujah! This has been one of those weeks where the sheer weight of the hatred in this world seems to bear down on us all – in excruciating loss, deep grief, and beliefs in crosshairs. Facebook and other social media are filled with caustic and accusatory comments, pointing fingers of blame at various religious and political groups. One brief item on my Twitter-feed raised the possibility that random costly hate crimes were becoming a new normal. No. I won’t receive that. Not yet anyway. 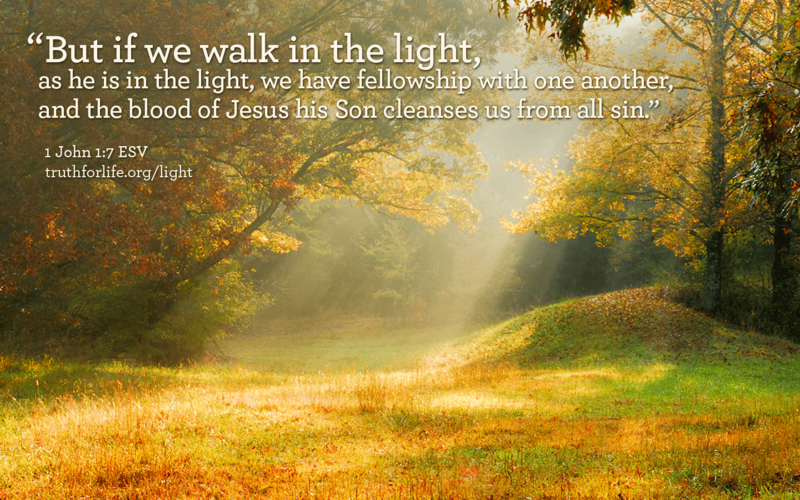 God calls His children to shine His light into the dark places of the world. His light, not our own. His light that radiates love and life. If we hole ourselves off in church buildings where prayer and serving, praise and preaching are carefully hidden inside the walls, the world continues broken and unaltered. Something has to change…truly. Jen Hatmaker wrote yesterday on her Facebook page about the Christian response to the horrific domestic terror attack this past week: “I’ve seen Christians everywhere promising to pray for the victims and their families and their communities. I wonder what might happen if everyone actually does? What might God do if millions of Christians begin praying for comfort and love toward the LGBTQ community? Relational healing? Crazier things have happened. Just: We’re sorry. Full stop. We are sorry…deeply sorry for this and all atrocities around the world done in the name of some idea or religion that took hold because we were not so revolutionary in love as the One who first loved us…even us. It may be complicated to love (or even identify with) people different from us…whether different by religion, political party, or racial/sexual identity. Still, as followers of Jesus, He calls us to love – extravagantly – even those who consider us enemies. A young acquaintance of mine during this week of shock and shaming added his own voice to the situation. I know him from our church, but he has since moved away, back home to a distant city. He posted that he only came to church for the people not for God. How could the church be winsome, and God not be? How did we manage to love him in such a way that he would miss falling in love with God? Jenn Hatmaker, in a later post, would apologize for lobbing a possible “shame grenade”. That is also not my desire. The Christian community sadly should be used to friendly (and not-so-friendly) fire by now, especially related to how we are perceived as not showing love to one minority or another. What matters is not what we do with attacks or shaming, but what we do with the very Word of God, and the wholly loving life of Jesus. Until Heaven…this is our calling. How extraordinary that revelation can come waiting in an exam room of a doctor’s office! I was waiting…of course, and noticed the pile of magazines on the counter (to help us waiting lose count of the time). In the pile was an old issue of a Time magazine. The cover story was intriguing. Who of us hasn’t considered, if not encountered, God during a dark night of the soul? Flipping the pages over to the article, I found a familiar face. A face I hadn’t seen in decades: Barbara Brown…well, Barbara Brown Taylor now. She was my residence advisor my first year in the dorms of Emory University. I loved our occasional talks together. She was funny, beautiful, loving, very real, and captivating – to be so close to our ages yet wise beyond her years. Flawed like the rest of us, but yielded somehow to an otherness of life that gives grace to our flaws, and her own. Barbara Brown Taylor. That day I was glad for the long wait and devoured the Time article (by Elizabeth Dias). It’s lovely to rediscover a friend from our past and to find one who had become so celebrated. I personally prefer light to darkness, although much of what she and her cohorts in the video say about darkness is. We have nightlights in the house, not because anyone is afraid of the dark but, to avoid not falling, tripping over something or running painfully into something. We definitely need to learn from the darkness in our lives, as Barbara Brown Taylor writes. We are meant to incorporate that learning into the grace we have for ourselves and those around us in their own darknesses. It’s the light, though, that I am most grateful for. The pitch-black dark of suffering will come to all of us, sometimes in ways we can’t even fathom in daytime. This one thing I know: We are never alone in that dark place. In this moment…the darknesses closest to my heart (hard family situations, the suffering in the world, my own fears) are brightened in the light of God’s Word. I recognize that, in the darkness around us, there is a call to action. We are meant to do whatever we can to bring light into the darkness of others. I am reminded of Chris Rice’s song Go Light the World. We can trust the Giver of Light to emblazon our darkness. Jesus is familiar with darkness. – He brought light into the darkness at the creation of our world (Genesis 1:1-4, John 1:1-5); his birth was heralded by angels to shepherds in the dark of that Bethlehem night (Luke 2:8-16); he lived a life that exposed the darkness through the light of His truth and love (John 8:12); seeking the Father’s face in the dark (Mark 1:35); surrendering His life for ours on a cross against a black midday sky (Mark 15:33); resurrected from the darkness of a tomb (Luke 24); – with us now in every situation we can’t see our way out of (Deuteronomy 31:6, Matthew 28:20) … His light will never be extinguished by the dark (John 1:5). When we were kids, in summer, we would play until almost dark. My brothers, our neighborhood friends, and I would own our quiet street on those summer evenings. We would run, chase, and evade being caught until we could almost not see in the fading light. Our moms would tell us “home before dark”, and we scattered, just in time, each to his own home. The porch light brought us running home every time. No matter how dark it was out, we could always find home….because of that “marvelous light”. The dark can be a scary place. We ran home gladly to escape the dark. Charlie Hall captures that run home (to God) in his song Marvelous Light. My childhood memory is nothing in comparison to how God delivers us out of the darkness of our sin. I resonate so deeply with the words of this song (lyrics follow). To know real shame because of hurtful choices or terrible decisions. Then to experience the forgiveness of God. To know, from His Word, that He sees us pure and lovely. It takes my breath away. What life God gives us! To have the weight of our sin lifted off our lives through the sheer grace of God in Christ Jesus. No wonder Charlie Hall includes “arms in the air, spinning around” imagery. In the love we have as His redeemed and restored cbildren, we lose that adult self-consciousness. All that matters is His speaking into the dark, calling us into His light, and we run to Him, as His children, full of joy.